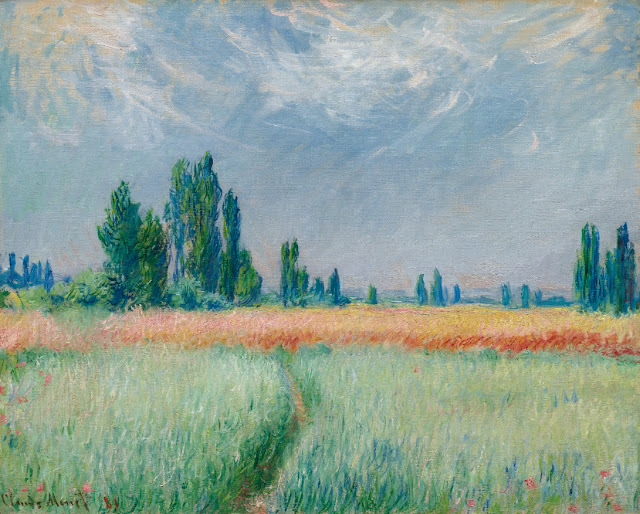 We love this exceptionally beautiful work by Claude Monet with its airy and light-filled summery landscape. 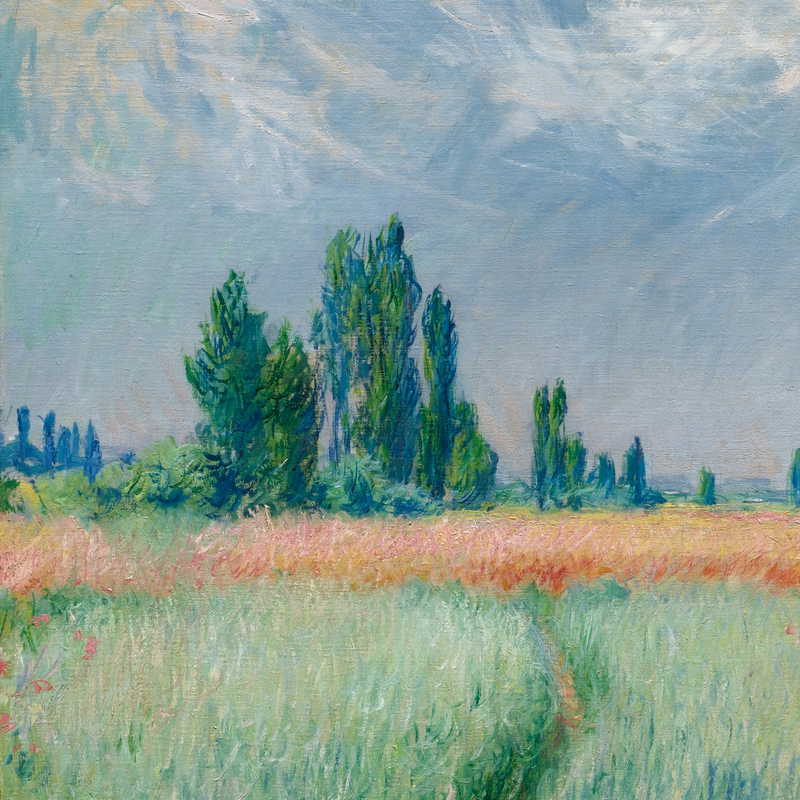 Monet's sweeping view of a wheat field beneath a sky of cirrus clouds is among the classic Impressionist landscapes from the early 1880s. The picture dates from 1881, when the artist was living in Vétheuil, and depicts a wheat field in Lavacourt, just across the river. 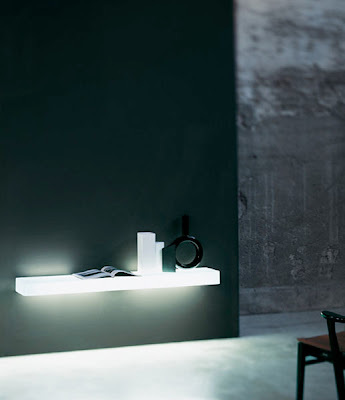 Its apparent simplicity notwithstanding, Champ de blé is in fact masterfully nuanced in both composition and surface treatment. Monet’s pictures of these months were customarily consigned to Durand-Ruel and sold shortly thereafter, as was the case for the related composition, Champ de coquelicots (W. 677, Museum Boymans van Beuningen, Rotterdam). Champ de blé, however, was probably the picture that Monet included in the seventh Impressionist exhibition in 1882, which was the last time the artist would exhibit with the original group. 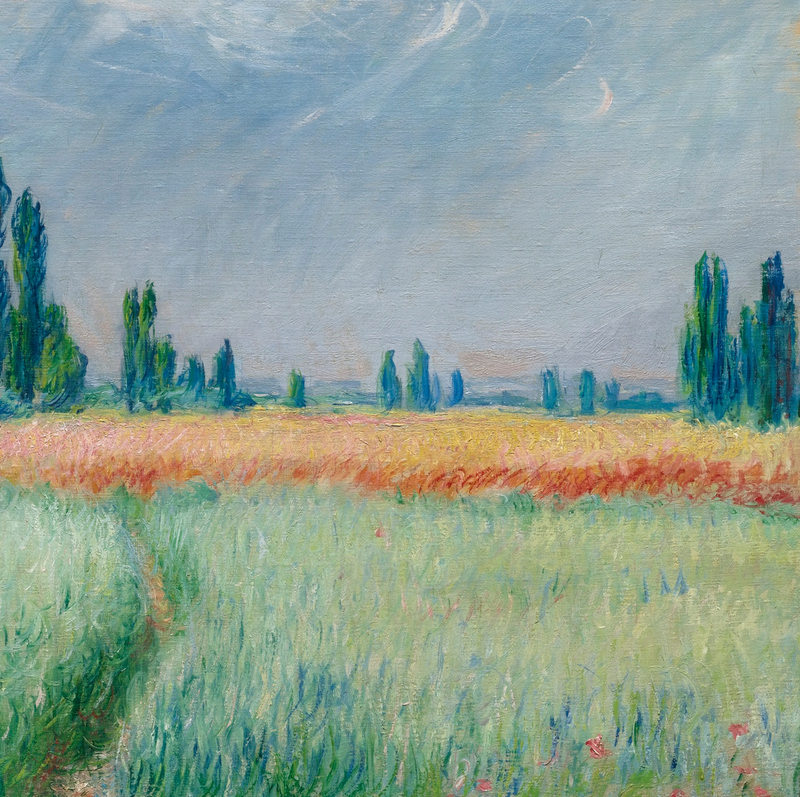 Champ de bléhas attracted critical acclaim ever since its first public appearance, and is a testament to Monet's regard for the picture. Monet’s landscapes of Lavacourt, Vétheuil and the areas of the Seine valley were usually done out of doors and then finished in Monet’s studio. Ever in search for new venues, the artist would load his bateau-atelier with his brushes, canvases and oils and set out on the river, looking for engaging subjects. The scene depicted in the present work is a vast and verdant field, distinguished by the dramatic poplar trees that would appear in Monet’s series paintings in later years. Monet’s focus here is on the great horizontal expanse of the grassy plain, interrupted by the footpath that leads to the wheat field. The vista takes shape in the form of a grid, with horizontal and vertical elements plotted in opposition to create this dynamic view. Monet’s experiences in Vétheuil and its surrounding region inspired to some of his most complex landscape paintings. He moved to this area of the Seine valley from Argenteuil in 1878, and the following five years he spent there with his family were to be some of the most tumultuous of his life. Painting offered a respite during this era, and those canvases he produced during this period celebrate the splendor of the French countryside. These pictures would ultimately be sold by Paul Durand-Ruel at the end of 1881, elevating the artist into a more secure financial position and launching him into yet another phase of his artistic development. The Vétheuil compositions evidence Monet at his most ambitious, revealing his devotion to his craft. These were the years that gave rise to his riveting depictions of the ice-floes on the Seine, along with some of his most compositionally sophisticated landscapes of the river valley, including the present work and the picture now residing in the Metropolitan Museum of Art. Champ de blé has an exceptionally important early provenance. 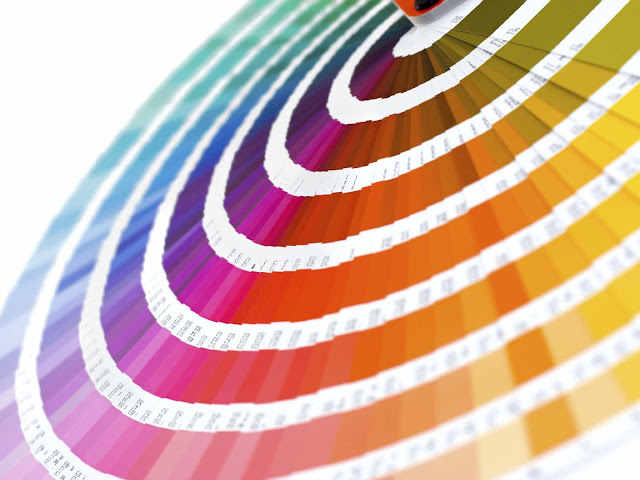 The first owner the present work was William H. Fuller, the director of the National Wallpaper Company and a devoted collector of Monet's art. In 1891, Fuller organized the first exhibition of the artist's paintings in the United States at the Union Club in New York, effectively introducing Monet to an American audience. Fuller may have first purchased the picture around 1886, the same time he acquired another work by Monet (W. 752, Metropolitan Museum of Art, New York) from Durand-Ruel. While we know that the picture was in Fuller's possession in 1891 for the exhibition, the Durand-Ruel archives show that Fuller sold and repurchased the work from Durand-Ruel within a year in the late 1890s. The painting was then acquired at the turn of the century by Henry White Cannon, the president of Chase Bank. Cannon and his wife Jennie Olive, an active member of the suffragette movement in the early twentieth century, owned the picture until Jennie gifted it to the Cleveland Museum in 1947. This exquisite work by the hand of Claude Monet was offered at Sotheby's Impressionist & Modern Art Evening Sale on November 5th 2012.